It’s transfer deadline day (again), and a cursory glance around the Premier League reveals a fair amount of players who must be crossing everything that their agent pulls something – anything – out of the bag before the 11pm cut-off. 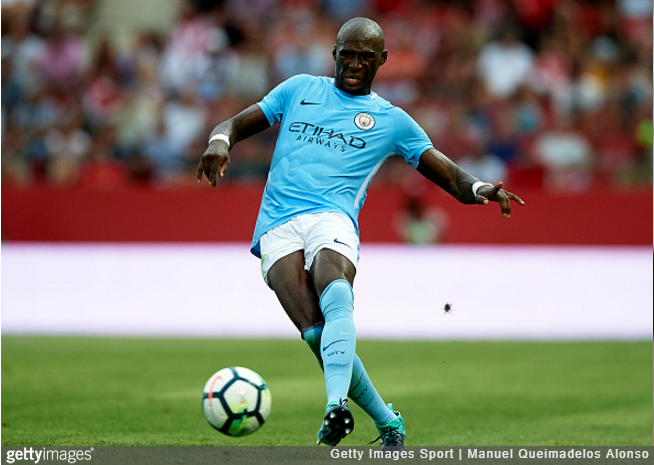 He’s not without his flaws, but Mangala has undoubted potential and is far too good to be left wasting away in City’s reserve string for six months. Crystal Palace are rumoured to have submitted a £23million bid this morning but you suspect he might hold out for a few hours and see if anyone else throws their hat into the ring. Last we saw, Wilshere was getting himself sent-off for brawling with 17-year-old lads in Arsenal Under-23 matches. He’s sunk down the pecking order and given his fading market value and perilously brittle fitness, should really be thinking about closing the chapter at the Gunners. Maybe have a bash in Spain or Italy? Spurs are apparently willing to go toe-to-toe with Chelsea to sign Fernando Llorente from Swansea before the deadline passes tonight, further compounding the fact that Janssen just isn’t deemed up to snuff by Mauricio Pochettino. Not a bad player by any means, but it just hasn’t clicked. Time for pride to be swallowed and losses to be cut, by both club and player. After seeing his Premier League dream turn to dust, all Perez wants to do is return home to Deportivo la Coruna. His heart, his body, his very soul yearns for it, yet he remains an Arsenal player – sad-eyed and almost entirely anonymous among the dugout back-benchers. Technically, a wrangle could be reached that sees Costa rejoin Atletico Madrid after the deadline passes as the Spanish side are not currently banned (until January) from signing new players, only registering them as first-team players. That would still meant Costa spent his first five/six months at Atleti idling without competitive football, which seems a waste. An interim loan to a third-party seems like the more sensible approach. Delph has no business still being at City and we suspect he probably knows it deep down. Should have joined Stoke or West Brom or Watford or Everton at least a year ago. Ronald Koeman isn’t a man to tolerate lolly-gagging, and Barkley has burnt his bridges at Everton doing just that all summer. Currently injured, but that probably won’t stop Chelsea and/or Spurs having a dabble today. Fourth-choice striker at a club with only three strikers who aren’t completely AWOL. Another casualty of City stockpiling, Bony has become little more than an after-thought, and a unmemorable, disinterested loan jaunt at Stoke last season hardly helped his cause. Needs a kick up the arse, both metaphorically and, quite possibly, literally as well. Any more players you think should be busting a gut to secure deadline day evacuations, Pies fans? @Bill: Was going to include Mamadou, though it sounded like his transfer to Palace was nearing conclusion.